PT Reforma Teknologi Internasional (PT RTI) and Virtalus LLC (Virtalus) today announce a new partnership to deliver hyper-converged infrastructure (HCI) solutions through a Master Distributor Agreement for the Indonesian market. Through this partnership, PT RTI and Virtalus are positioned to offer hosted and on-premise private and public cloud infrastructure to commercial enterprise clients, as well as government and NGO entities in Indonesia. In 2015, Virtalus set out to evolve its legacy of hyper-converged appliance engineering to bring the power, flexibility and efficiency of HCI to market through more accessible and value-centered solutions. The result of that evolution is the Virtalus HYPER Series of HCI solutions, including Hyper-CX, Hyper-SX and Hyper-LX. Today, deployments of the HYPER Series support critical business and government infrastructure around the world, in a seamless, agile architecture. PT RTI serves public and private entities across the Southeast Asian markets, fostering long-standing relationships and best-in-class advisory on technology and security matters for a myriad of commercial and governmental organizations. The trust and leadership PT RTI affords its clients places the company at the forefront of introducing new technologies and business practices in the markets it serves. The Virtalus HYPER Series of HCI Solutions enables elastic, flexible, multi-tenant cloud environments, customized to offer infrastructure as a service (IaaS), or to power software and platform as a service environments (SaaS/PaaS). The HYPER Series optimizes power, compute, storage and network resources, offering flexibility, capacity and efficiency in a single orchestration panel. Configuration and deployment agility is a hallmark of the HYPER Series. The Virtalus solution set delivers high-availability architecture, configurable for a variety of deployments and scalable to address growth and complexity without sacrificing value. “PT RTI is committed to delivering the very best technologies and value to our clients, through careful consideration of needs, risks and future objectives. The HYPER Series of HCI Solutions that Virtalus brings to the market is precisely the combination of forward-thinking and technology efficiency that allows PT RTI to remain a trusted resource for our clientele. We very much look forward to the partnership with Virtalus in bringing critical infrastructure solutions and effective technology investments to our growing client base’, said Vinny Nuraini, Chief Executive Officer of PT RTI. PT RTI is an Indonesia-based technology solutions provider, focused on delivering best-in-class cloud infrastructure to enterprises around the world. The company is committed to providing solutions with exceptional performance and security standards that in turn deliver exceptional value and return to its clientele. PT RTI is committed to the design and deployment of cloud infrastructure with uncompromising speed, performance and affordability. The company is dedicated to developing innovation and reliability that customers can count on to meet their growing and changing technology demands. 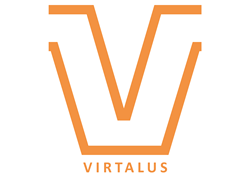 VIRTALUS is a U.S.-based provider of innovative hyper-converged Infrastructure services on demand, deployed through fast, simple, reliable and scalable solutions focused on computing, networking and storage infrastructure. The organization is dedicated to providing core IT functionality to enterprises, at a fraction of the time and cost of prevailing market alternatives. Virtalus delivers high-value IT capacity ON DEMAND to clients all over the world.